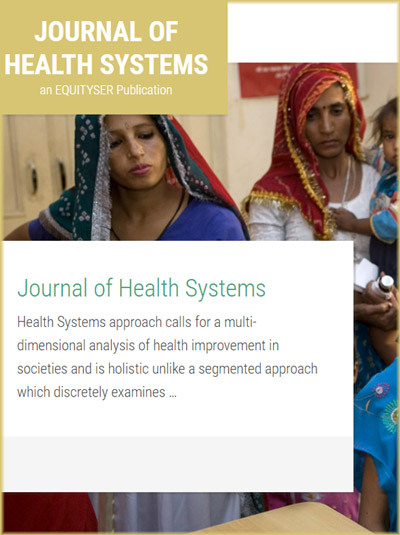 Journal of Health Systems (JHS) calls for a multi-dimensional analysis of health improvement in societies and is holistic unlike a segmented approach which discretely examines factors in isolation. Such a multi-dimensional analysis is a challenging task and requires an interdisciplinary competence. The Journal of Health Systems will strive to develop and facilitate such a competence and will promote critical scholarship in this area. 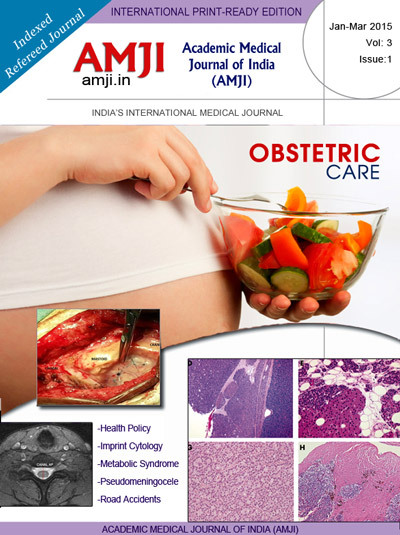 Academic Medical Journal of India is an open access journal, which means that all content is freely available without charge to the user or his/her institution. Users are allowed to read, download, copy, distribute, print, search, or link to the full texts of the articles in this journal without asking prior permission from the publisher or the author. Kerala Medical Journal is the academic journal published by Indian Medical Association – Kerala State Branch. 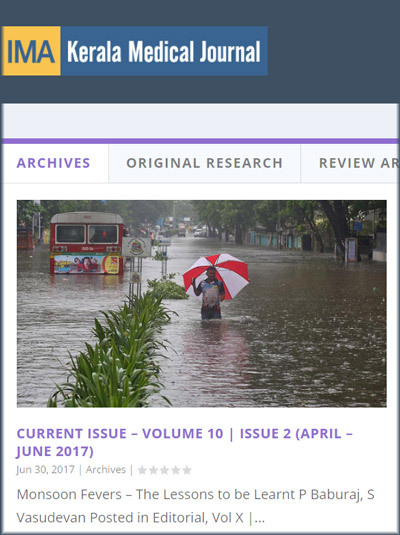 The journal is published online and in print form and has 4 issues per year. 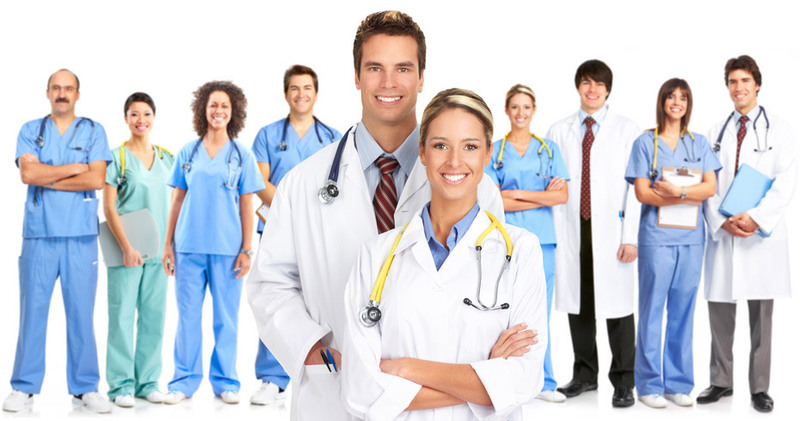 Articles are selected in original research in clinical medicine, public health and clinical epidemiology and undergo a strict process of peer review before confirmation.